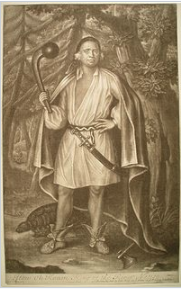 Mahican chief Etow Oh Koam, referred to as one of the Four Mohawk Kings in 1710. Throughout the course of time, the Housatonic River has played a prominent role in the growth and development of the valley land which surrounds it. The earliest settlers, the Mahican Indians, migrated out of New York’s Hudson Valley, coming over the Taconic Mountains. Arriving in Massachusetts some 10,000 years ago, the Indians settled along the river’s banks, farmed the river’s nutrient-rich floodplains and fished the river for food. The first English colonists arrived in 1639, settling in Stratford at the mouth of the river. Agriculture was the major activity throughout the valley for much of the next century, and is still evident today where the Housatonic meanders through southern Massachusetts, and into Kent and New Milford in Connecticut, creating wide, fertile floodplains. The river was used by the early colonists for transportation and waste disposal. Farther south, Derby was a shipping and fishing port, where shipbuilding flourished for almost 200 years. During the 18th and 19th century, water power played a dominant role in the development of industry throughout the valley, and remnants of dams, mill races and furnaces can still be seen today. 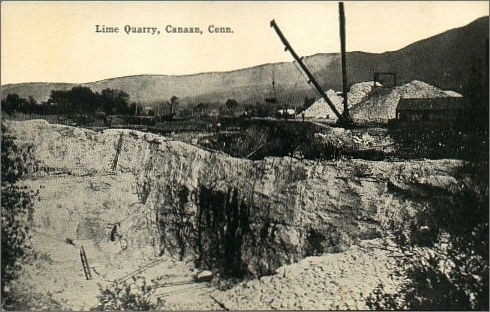 In the northwest hills of Connecticut high quality iron ore was abundant. The ore was melted with limestone in blast furnaces, molded into finished iron utensils, tools and armaments and then cooled with river water. Many forests were cleared to make the charcoal used as fuel in the furnaces. The iron industry began in Salisbury in 1730, and more than 40 blast furnaces were in operation from Lanesboro to Kent during the 1800’s. 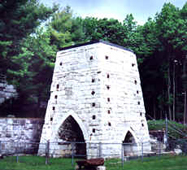 One of the best known examples is the Kent Furnace, built in 1864. The last furnace ceased operation in 1923. The 1800’s brought a shift to manufacturing and extensive mining of marble and limestone in the “Marble Valley” of northwestern Connecticut, and the start of papermaking. The Pittsfield region was the first area in the nation to start making paper, and by the end of the Civil War there were at least 28 paper mills in Berkshire County alone! About this same time, tobacco farming began in the Still River valley, reaching its peak near the end of the century. By 1850, most towns up and down the river had small factories along the Housatonic’s banks, using the river as both a source of water for their manufacturing or milling processes and a dumping ground for their waste products. The mills and factories eventually polluted the river, and it wasn’t until the passage of the Federal Water Pollution Control Act Amendments (1972) and the Clean Water Act (1977) that a system was created for reducing and controlling pollutant loading into the river, by mandating treatment for the removal of chemicals from wastewater discharges. Since the earliest colonial times, the river has been used as a source of power. The earliest dams were built to operate gristmills and sawmills, and later to turn turbines. In 1870 the first dam was constructed across the river between Derby and Shelton for the generation of electric power. 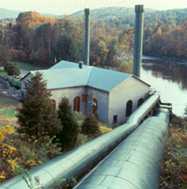 Other hydroelectric power dams were built in Great Barrington, Falls Village (1914), Kent (Bulls Bridge, 1902), New Milford (Rocky River, (1928), Monroe (Stevenson, 1919) and Southbury (Shepaug, 1955). Hydroelectric power generation remains an important river use today. The onset of the 20th century brought with it the decline of industrialization in the valley. While no one knows for sure, it is believed that the decline was caused by inadequate roadway transportation routes and railway systems along with competition from larger industries located outside of the Housatonic River valley. Industry survived only in the areas of Pittsfield, Danbury, and from the Naugatuck valley to the mouth of the river.